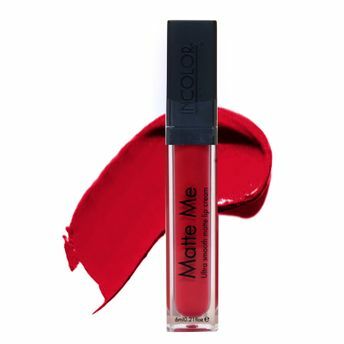 Matte Me Lipgloss by Incolor enhances your lips and delivers an intense rich color effortlessly. This weightless liquid formula provides a velvety matte finish that stays true for up to 8 hours. Matte Me Lipgloss's moisturizing formula will give you a spectacular finish and leave you with irresistible luscious looking lips in no time. Explore the entire range of Liquid Lipstick available on Nykaa. Shop more Incolor products here.You can browse through the complete world of Incolor Liquid Lipstick .Alternatively, you can also find many more products from the Incolor Matte Me Ultra Smooth Matte Lip Cream range.